- Compatible with Most of the Micro-USB Supported Devices for charging mobile. - It s a long charging cable with the length of 3 meters. This splitter is recommended for music lovers who want to share their music with their friend or loved ones. 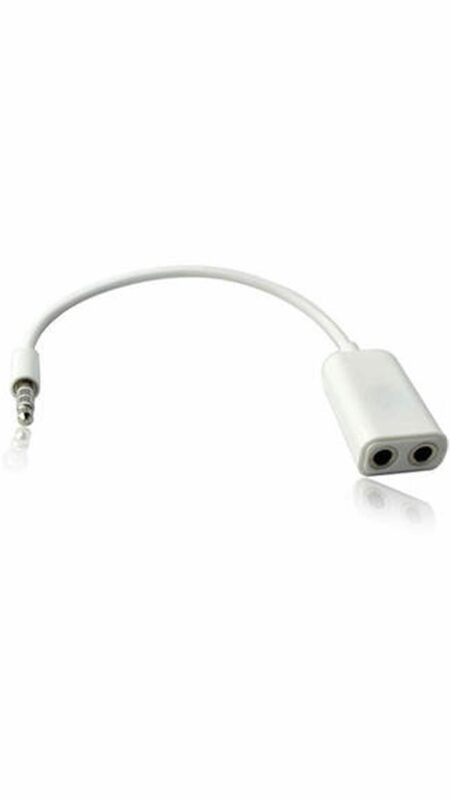 The audio splitter adapter connects two stereo headphone or speakers to the stereo jack on your mobile, ipod, iphone, ipad, Mp3, Mp4 Player, CD Player, Cassette Player or any digital audio player. The superior design ensures the maximum signal transfer and reduces interference for a natural, crisp, clean and accurate sound.You Can Easily Listen From Your Device To Two Normal Or Hi-Fi Headphones Which Have Stereo 3.5Mm Pin With The Help Of This Cable. The Simple Audio Adapter Allows You To Split Any 3.5Mm Audio Socket To Create A Twin Stereo Connection.